Robust tungsten carbide insert and special surface hardening, Makes drilling very fast and gives a long service life to the drill bit. 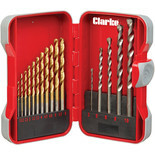 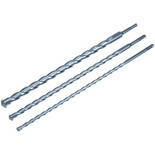 A set of 3 450mm long SDS masonry drill bits. 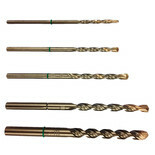 Heller "AllMat" Universal high quality multi material drill bits for a variety of standard construction materials, in popular sizes to suit most plastic plug diameters. 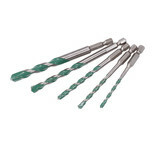 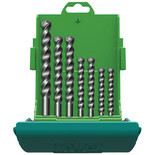 A five piece set consisting of 4, 5, 6, 8 and 10mm ProExtreme drill bits from Heller with optimised head geometry for high speed drilling into concrete, granite, marble, masonry, stoneware and stone. 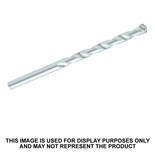 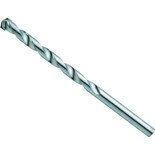 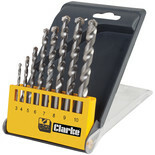 Heller 24111 3 16mm Masonry Twist Drill Bit ideal for masonry, stone and concrete. 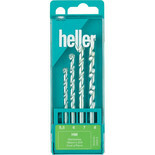 Heller 24098 7 12mm Masonry Twist Drill Bit ideal for masonry, stone and concrete. 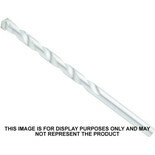 Heller 24107 6 14mm Masonry Twist Drill Bit ideal for masonry, stone and concrete.